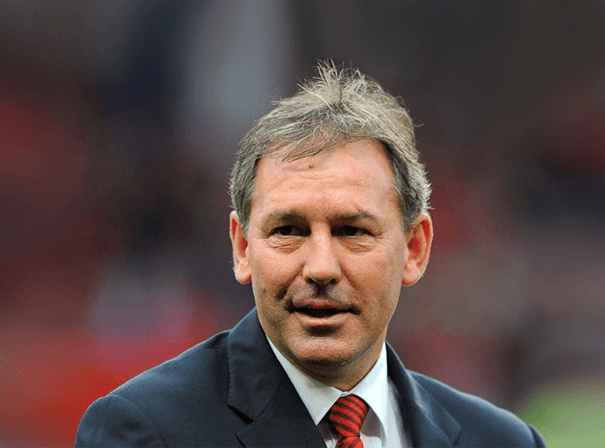 There can be few better sports speakers for any after dinner event than Bryan Robson, a former player in, and manager of, the national team, as well as long serving captain of Manchester United. During his lengthy career, the County Durham born man made a habit of so-called ‘lung-busting’ runs from one end of the Soccer field to the other, often scoring spectacular goals once getting there. More than ninety times did he pull on a shirt for England – including in three World Cups – often turning in commanding performances and a total of 26 goals in all. It was playing at the heart of Manchester United’s dream team with stars like Eric Cantona, Roy Keane and Andrei Kanchelskis that he found most success, however. He was awarded twice with FA Premiership winner’s medals and Soccer League Cups, additionally winning the much lauded FA Cup three times whilst playing with The Red Devils. After being awarded the OBE in 1990 and retiring as a player in 1997, Robson Managed the likes of Middlesbrough, Bradford City, West Brom, Sheffield United and even the Thailand national team, winning two promotions to the Premier League (and guided three teams to Wembley finals) in that time. Known throughout his career as “Robbo”, the famously brave and competitive Manchester United Ambassador is perfectly suited to motivational speaking; contact one of our sports agents now to confirm your booking.